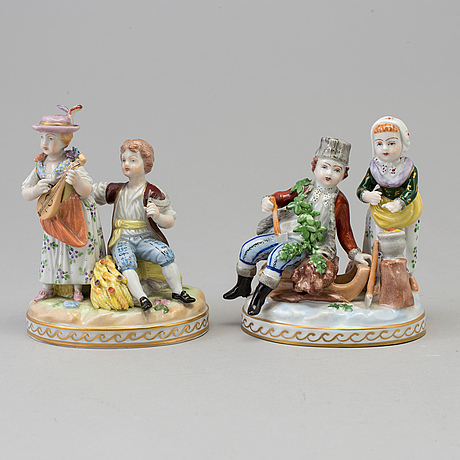 Two allegorical porcelain figure representing 'Winter' and 'Sommer', Germany, Sächsische PF, Potschappel, 20th Century. 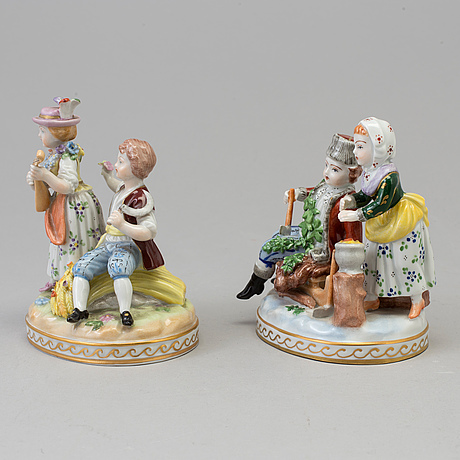 After a Meissen modell by J F Schönheit. Height 12 cm. From the Collection of Henrik Petrini (1931-2015). The collection has been sensitively put together by the avid collector over the past 35 years. 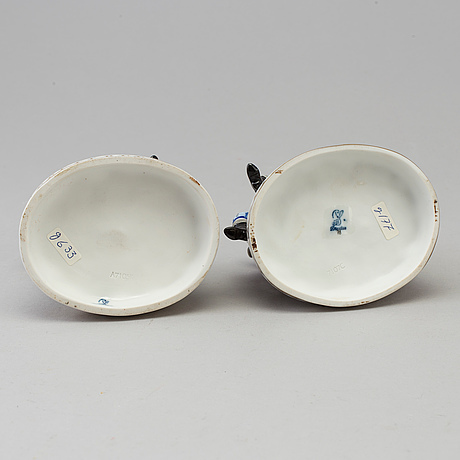 Buying from private Swedish collections, auctions and on travels abroad. The collection shows his great interest in glazes, porcelain painting and potting techniques garnered from extensive study of the subject. It is a broad and comprehensive study collection. Henrik Petrini had an engineering degree from the Swedish Defence University. He was an officer at the Artillery , followed by a civil career for the American company IBM.